My first batch of fancy chicks was ordered in January. I have been forcing myself to wait until closer to their delivery date (they ship March 12) until I call the post office here in town to let them know to expect a peeping package. I have literally had to sit on my hands to not pick up the phone. I'm SO excited! Then it gets better. There were some breeds that I'd wanted, but couldn't find a matching delivery date, so I wrote them off. Thanks to Teresa splitting an order or two with me, I'm getting them!!! Granted, they'll come later than my first batch, but that might actually work out better. So tonight, folks, I'm going to drag you into chicken fever with me. The pictures you are about to see will be what I get to see every day. I hope you can handle the gorgeousness. Of course, these are all in addition to my wonderful Rhode Island Reds, Buff Orpingtons, various bantams, and my ever-prized Yokohamas/Phoenixes! Black Copper Marans hen. Ditto on the pricey. You can tell I got the pic from poultrykeeper.com. That's my first batch, plus the 5 Cornish cross meat birds that I want to make sure I can slaughter before I get more. Now for the second batch that will get here in late April. And, just when I gave up, I actually can get Faverolles!! THREE of them! YAY!! Obviously, from poultrykeeper.com again. So folks, I sure hope you're ready for plenty of updates on the baby chicks. I simply can't wait. Plus I'll get to look at (and look after) 2 batches of cute fluffiness at first. Brace yourselves for lots of pictures. 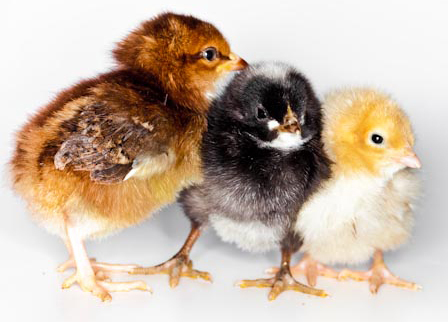 I love my little feathery babies and I hope they become egg MACHINES :D You'll hear about it one way or the other. So, do what I'm going to do--take 2 aspirin and think about chickens in the morning. I love your chickens! I have the same chicken fever! Thanks!! Keep in touch--I'm getting even more soon! Ihave had chickens , of one kind or another for the last 50 yrs. But I still get excited when it's time for a hen to hatch another bunch of chicks. I still enjoy turning them loose , every day to watch them scratch, around the yard.I'm trying something different this year. I just put 12 silver pheasant eggs under a setting bantam hen.They will hatch around the end of April. Cant wait to watch that little hen raise a flock of pheasants.. I plan on starting my adventure as soon as I can and am sooooo excited!